What if I told you a golf ball could look bigger and easier to hit? 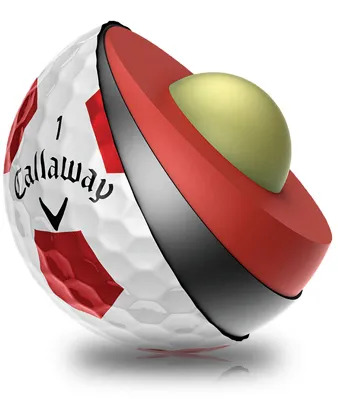 Pick one up and put it down at address.It’s an optical illusion but the ball looks bigger and easier to hit. That gives you confidence, especially on the shorter shots. 4-piece construction, and Tour Urethane Cover will deliver all of those. The really low compression will add an extremely soft feel. Quite a Callaway lineup, but which is the best deal for your golf game? What price do you put on stopping power and greenside control? Are you after ever yard possible? How straight are your longer shots? How important is feel to you? There’s enough great technology here. Now we need to talk about your golf game.